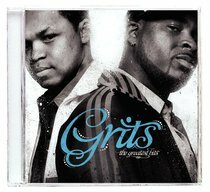 Hip-hop duo Grits have a massive following and are at the forefront of Christian rap. Fans will love this double disc that features 19 of their favourites as well as 11 previously unreleased tracks. :Hip-hop duo Grits have a massive following and are at the forefront of Christian rap. Fans will love this double disc that features 19 of their favourites as well as 11 previously unreleased tracks.